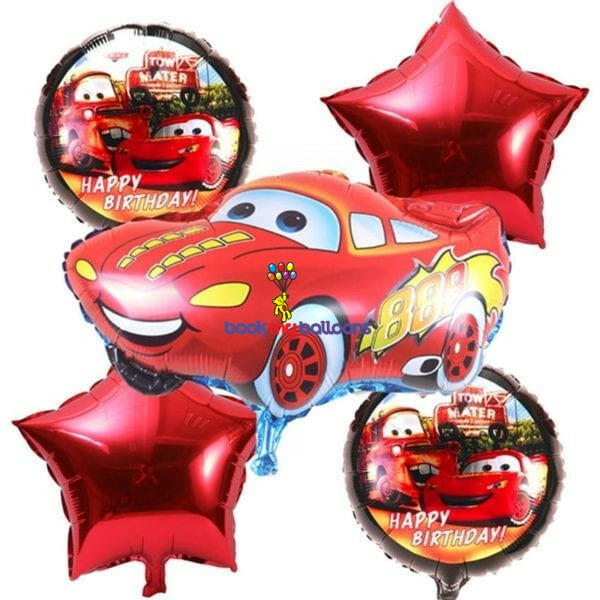 Rev up the party decorations with a Cars Balloon Bouquet! This five-piece Cars Balloon Bouquet features a giant Lightning McQueen balloon at the center! Surrounding Lightning McQueen are two Cars balloons that feature Cruz Ramirez and Jackson. A yellow star and red star balloon finish the high-octane foil balloon bouquet. Top off your Cars decorations with awesome balloons.